Posting a fast time and being a great athlete are two different things altogether. Usually, though, fast times are a result of being a great athlete. I'm not talking about genetics, musculature or the talent to throw a ball accurately. I'm talking about the attitude and dedication you bring to your training. It's been a long journey, with a lot of years spent as a terrible athlete. Finally, though, I feel like I am making progress in the right direction. This is a collection of advice given to me and my experiences along the way. 1. Take a step back. In many ways, I made the most gains as an athlete in the year I took away from the sport. 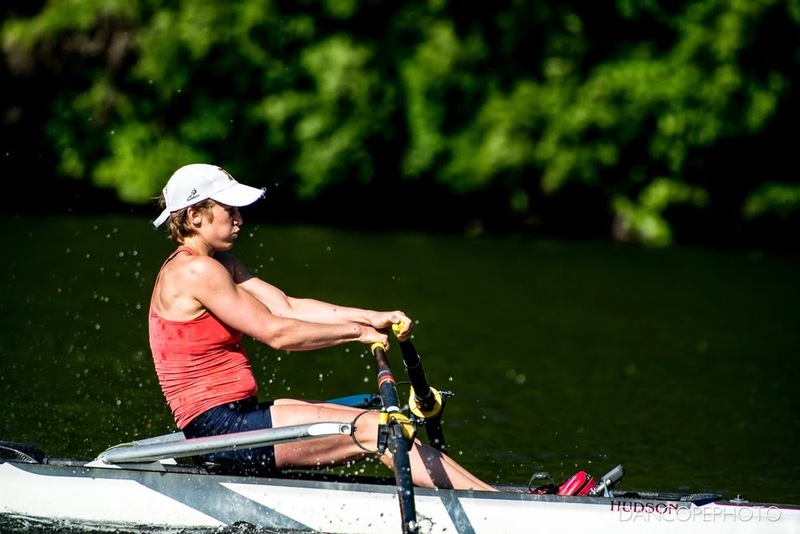 I came back with a new perspective: I understood that there was more to life than rowing, and a bad practice was not the end of the world--just something to learn from and improve upon. I also came back with a renewed passion and dedication: I knew I would rather be suffering through a grueling workout than sitting on the couch. I finally took ownership of my training. 2. Put yourself into uncomfortable situations. Make bets with your teammates; challenge people to races; give your friend a check for $500, and tell them to cash it if you don't do all of your weight lifting. You should always feel like your seat, your place on the team, is at risk--if you don't, seek out better competitors. 3. Accept where you are. Self-confidence is important, and sometimes you have to believe you are the fastest even when you aren't. But 99% of the time, the situation calls for understanding your place. This gives you freedom to lose to somebody better, and instead strive to close the margin. 4. Seek out your own weaknesses. As fatigue builds through a training cycle, I cave and prematurely scale back intensity. I'm lazy about stretching, lifting and resting. I overestimate the power of nutrition to make me faster (nobody has ever gone to the Olympics for eating well). I overanalyze everything. My erg scores are too slow. In summary, I have a lot to work on--but I'm making progress in the right direction. 5. Ask questions (and listen to the answers). Find successful coaches and ask them about being a better athlete. Find successful athletes who have achieved what you want to achieve, and ask them how they did it, what they would have done differently, etc. Ask your coaches, doctors and teammates for information--they can help you identify your weaknesses and keep you accountable for fixing them. Most importantly, though, listen to what these people have to say--write it down, think about it, and apply it to your training. 6. Have patience. The human body is incredible, but training for 8 hours on Tuesday will not improve your performance by Wednesday. You cannot lose a pound of fat in a day, nor gain a pound of muscle. If you are impatient, spend time developing good habits beyond your training schedule: stretch more, drink water, nap, de-stress, or educate yourself. Find other areas to make progress in the meantime. And in line with #5, any other advice? What else can I work on?